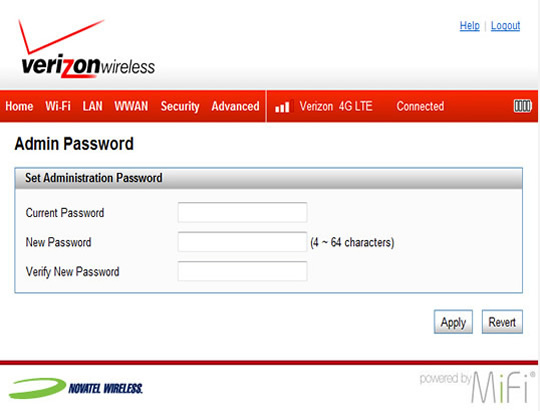 This info doesn't apply to changing the password used to connect to your Verizon Jetpack via Wi-Fi. 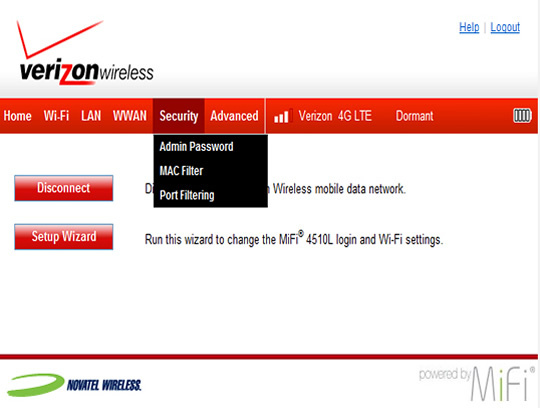 The administration password is used to log in to the device web interface to manage settings (e.g. network name, network password, etc.). Log into the Admin Web Interface. From the Home screen, navigate: Security > Password. Enter the Current Password, New Password and Verify New Password then select Apply.